This is a quick note to let you know that we are back in action and can't wait to start the year. We have new music, artwork and a bunch of cool stories to tell this year! 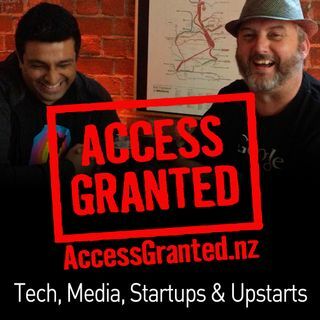 We share the stories from people that work in New Zealand tech, social media, startups. If you have a story or know someone that does - get in touch! Mike Riversdale (@MiramarMike) background is explaining stuff, connecting people and getting things done. ... See More Raj Khushal (@nzRaj) background is in video, design, media and making things happen.